Q. How Often Should You Take L-arginine Plus®? A. L-arginine Plus® can be used once a day. Just mix a single scoop of L-arginine Plus® with 10 to 12 oz. of water once a day. L-arginine Plus® can be taken as much as twice a day. Take L-arginine Plus® 30 minutes prior to eating. Q. What is L-arginine Plus®? A. L-arginine Plus® is a blend of the amino acids L-arginine and L-citrulline that increase production levels of Nitric Oxide (NO) in the body developed to help support your overall health. The efficacy of the amino acids L-arginine and L-citrulline have been validated by many scientific clinical studies. L-arginine Plus is a powdered formula you mix with water to make this powerful supplement drink. Q. L-arginine Plus® contains AstraGin, how will this benefit me? Q. Why is L-arginine Plus® less expensive than other Nitric Oxide supplements? A. Many suppliers charge what the market will bear. Our current business model, however, is to offer a superior product directly to you at the lowest possible prices. We hope you become a lifetime customer like so many others. Q. Why are trace minerals important to the L-arginine Plus® formula? A. L-arginine Plus® contains 100 mg of trace minerals in each serving. The trace minerals used in L- arginine Plus are alkaline, not acidic, making L-arginine easy to digest, unlike many competing brands. The trace minerals included in L-arginine Plus support healthy pH levels in the stomach and throughout the digestive tract. Unbalanced pH levels can upset some people when they first begin a Nitric Oxide regiment. Additionally, these trace minerals, independently of L-arginine Plus, are known to have a positive effect to improve overall health and well-being. Q. Are there any age limits for taking L-arginine Plus®? A. It is generally recommended that persons under the age of 18 should not use L-arginine supplements because specific studies on children have not been conducted. If you have any questions, please consult with a health care provider. Q. Is L-arginine Plus® safe to use? A. The ingredients in L-arginine Plus® have a history of safe use. As with any dietary supplement, when being treated for a medical condition, pregnant or nursing, always consult with your health care provider regarding your use of L-Arginine Plus. Q. What about the protocols? Are there any special instructions? A. L-arginine Plus® is easy to use and requires no complicated protocols. Just mix one serving with water once a day (preferably on an empty stomach) and enjoy. Q. Do you have to take L-arginine Plus® on an empty stomach to get the benefits? A. For maximum benefit, L-arginine Plus® should be taken on an empty stomach. All benefits are certainly not lost by taking L-arginine Plus® with foods or beverages, but those benefits may be reduced. Q. What is the product sweetened with? Can you describe the taste of L-arginine Plus? A. L-arginine Plus® is sweetened with Xylitol. Xylitol is a low glycemic sweetener that occurs naturally in the body. High glycemic sweeteners can cause glycation, which can lead to decreased arterial flexibility. Unlike other sweeteners, xylitol has been shown to support saliva production and support overall oral health. With Xylitol included, L- arginine Plus offers a great-tasting grape flavor. Q. Why is Xylitol Used in the L-arginine Formula? A. L-arginine can cause the pancreas to release a hormone called glucagon. The pancreas produces glucagon as a means to increase blood sugar levels when they are too low. Glucagon makes the liver convert stored sugar (glycogen) to usable sugar (glucose) that is then released into the bloodstream. Using L-arginine along with xylitol, can keep L-arginine from stimulating the pancreas to release glucagon. Helping maintain balanced levels. Q. How much do you charge to ship L-arginine Plus®? A. 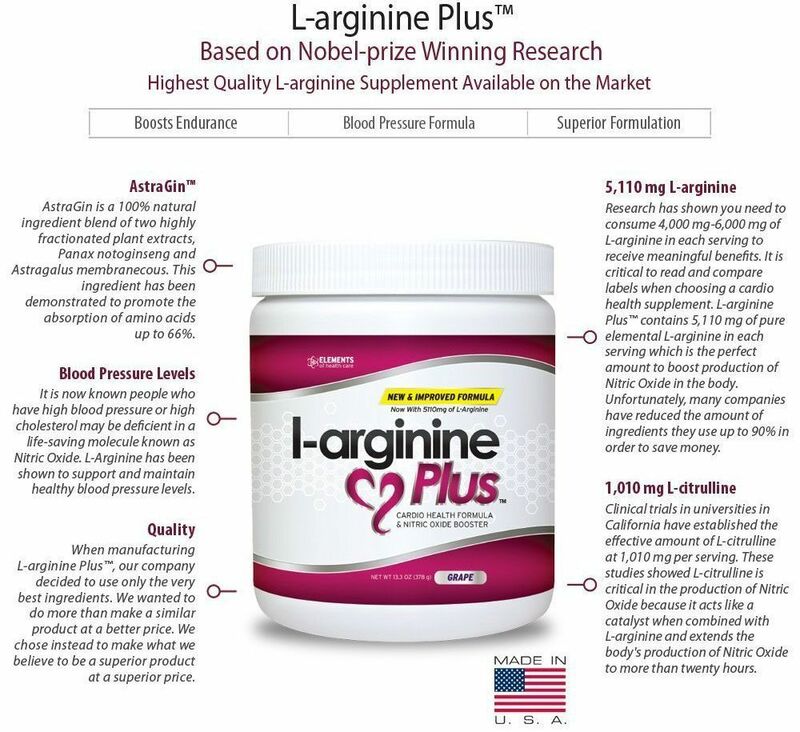 Every order of 2 or more bottles of L-arginine Plus® is shipped free anywhere in the U.S.A.
Q. How long will it take for L-arginine Plus® to reach me? A. L-Arginine Plus® is shipped within 48 business hours of receiving your order. It is sent by Priority Mail which normally takes 5-8 business days to arrive in the United States and ships from our warehouse in Lindon Utah. Express Shipping normally takes just 2-4 days. Q. Will I be able to track my shipment? A. A tracking number will be emailed to you once your order has been shipped. Q. What is Sweta and what is it made from? A. SWETA is a NATURAL sweetener (stevia). It is an extract from the stevia leaf and consists of a blend of steviol glycosides. It is more than 100 times sweeter than sugar, contains no calories and has a low glycemic load. Unlike our competitors (big MLM companies) who use artificial sweeteners like sucralose which can be unhealthy for you, L-arginine Plus is not artificially sweetened. Q. You mention "natural" colors, what is actually used? A. Grape Blue Powder - is a natural colorant made from high quality fruits and vegetables. It is manufactured using a unique processing technology that employs only water. It is free of chemicals, solvents, GMO ingredients and is Kosher certified. Q. What is the suggested dosage? A. Suggested dosage is to Mix 1 scoop with 4-8 oz water. Stir to dissolve. One scoop per serving of L-Arginine Plus powder first thing in the morning on an empty stomach or between meals. It can be taken up to twice a day. One scoop provides 5,110 mg of L-Arginine and 1,010 mg of L-Citrulline. Q. How long does one bottle last? A. There are 30 servings in a bottle. Most people take it once a day so it will last you 30 days. There are benefits of taking our product in the morning (supports energy, endurance, and performance) and also at night (such as supports better sleep, recovery, and release of growth hormone). Depending how you take it will depend on how long it with last. Q. Can I take this with my medication? A. Although there has never been an issue with taking L-Arginine Plus with Medication, ALWAYS seek the advice of a physician or other qualified health care provider with any questions you may have regarding a medical condition. Never disregard professional medical advice or delay in seeking it because of what you may have read on our website. Q. What are the ingredients that make L-arginine Plus® so effective? 5,110 mg L-arginine - Research has shown you need to consume 4,000 mg-6,000 mg of L-arginine in each serving to receive meaningful benefits. It is critical to read and compare labels when choosing a health supplement. L-arginine Plus® contains 5,110 mg of pure elemental L-arginine in each serving which is in the "sweet spot" to boost production of Nitric Oxide in the body. Unfortunately, many companies reduce the amount of ingredients in order to save money. Astragin is a 100% natural ingredient blend of two highly fractionated plant extracts, Panax notoginseng and Astragalus membrancous. This ingredient has been demonstrated to promote the absorption of L-Arginine and L-Citrulline amino acids by up to 66.7%. You would have to take TWICE as much of our competitors brand without Astragin to get the same benefits you'll see by taking L-arginine Plus. L-arginine Plus® contains 100 mg of Trace Minerals in each serving. Just because they're called trace minerals doesn't mean they are not important. Quite the contrary, it simply means you require smaller daily amounts of these nutrients, in the case of some trace minerals, less than a milligram a day. Minerals taken in such tiny amounts are often measured in micrograms, or one-thousandth of a milligram. Many customers who use other l-arginine products complain of upset stomachs. The trace minerals used in L-arginine Plus® are alkaline, not acidic, to prevent side effects. By adding these trace minerals to L-arginine Plus® we have attempted to normalized pH Levels in the stomach and throughout the digestive tract. Unbalanced ph levels may upset some people when they first begin a Nitric Oxide regiment. "YES - I Want Better Health"
Click to view specials and see our FREE bottle offer. A healthy blood pressure is below 120/80. The September 2003 issue of the Journal of the American Medical Association redefined it as 115/75, citing research showing that artery damage can start above this blood pressure level. L-arginine Plus is made in our state-of-the-art manufacturing facility, with mechanical systems and quality-control mechanisms comparable to those used in the pharmaceutical industry. We are proud of this high level of attention to detail and highest levels of manufacturing excellence.